Rian Brady scored a lucky point in the 17th minute when his long ball into the full forward line evaded everyone and bounced over the bar. But Mullinalaghta were far from lucky in this game. Yes they trailed for much of the second half but over the entirety of the game they had more shots, as well as a much higher Expt Pts return, than Kilmacud. On top of that they dominated the contested (and contestable) kickouts whilst also restricting one of the country’s foremost club teams to one shot at goal. On numbers alone Mullinalaghta deserved this victory. Kilmacud’s numbers are slightly squirrely what with a relatively low Conversion Rate (47%) but an Expt Pts of +1.21. The dichotomy between the Conversion Rate and the Expt Pts can be explained through their goal and free attempts. Pat Burke’s effort was their only shot on goal, producing an Expt Pts of +1.19, whilst Paul Mannion scored 0 – 02 from 3 (Expt Pts of +0.13) on frees. That’s 75% (1 – 02 from 4) combined with Expt Pts of +1.32. Quite good from an accuracy perspective. What let them down was their point attempts which returned a very low 36% (0 – 04 from 11). 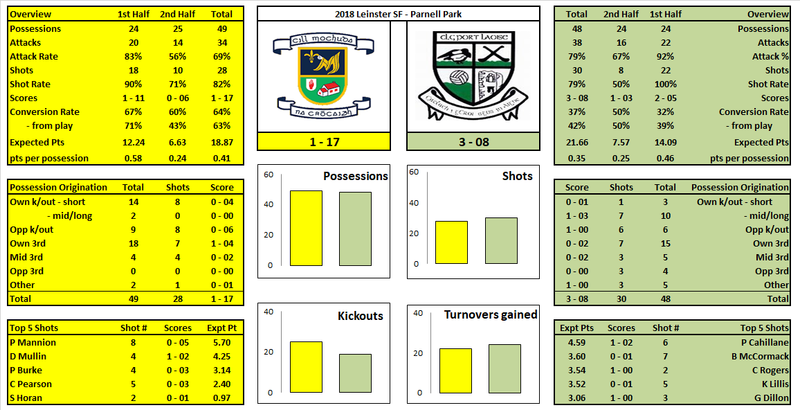 This was somewhat surprising as they had produced a combined 59% (0 – 22 from 37; Expt Pts of +4.43) in their two games against St. Judes and Portlaoise. As stated in the Portlaoise review we always have the small sample size caveat but Kilmacud had looked like an accurate, tidy, shooting team. 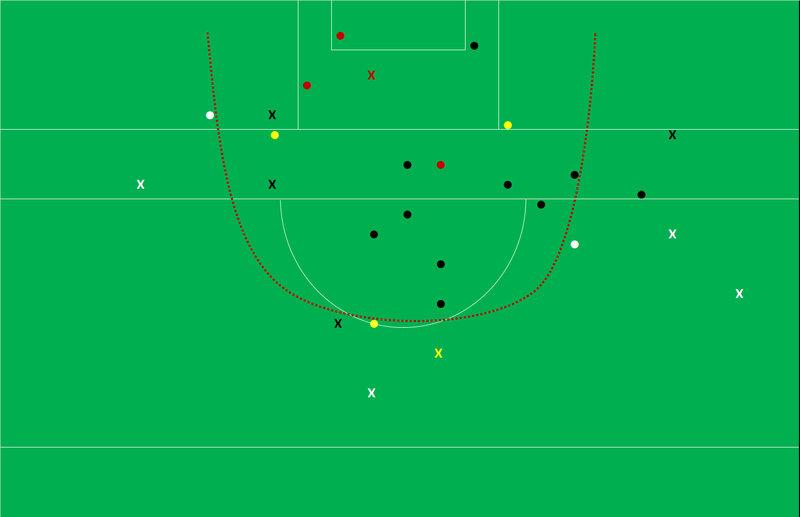 It is difficult to attribute this poor shooting display to Mullinalaghta defending as seven of the eleven point attempts were taken under little or no pressure. It was just an off day. What we can give the Mullinalaghta defence credit for is shutting down Kilmacud’s avenue to goal. 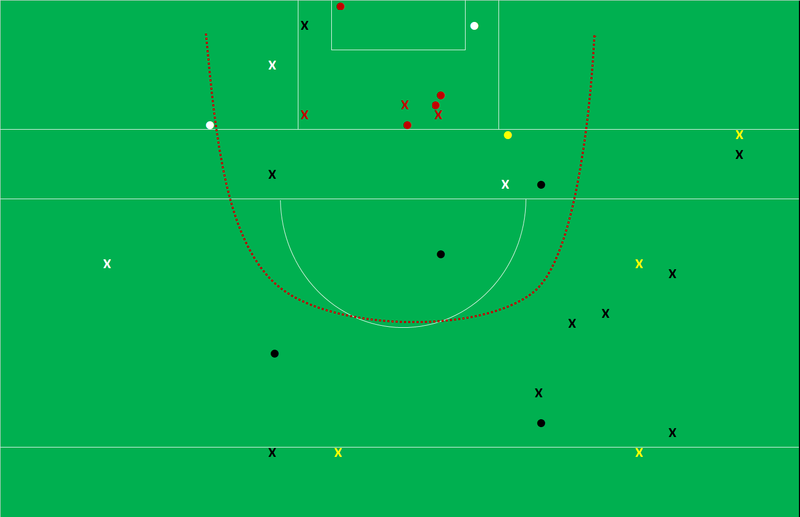 In the aforementioned two games Kilmacud had ten shots at goal producing 4 – 01. It looked like we might be in for a repeat here when Pat Burke tucked away Williams’s pass in the 4th minute. 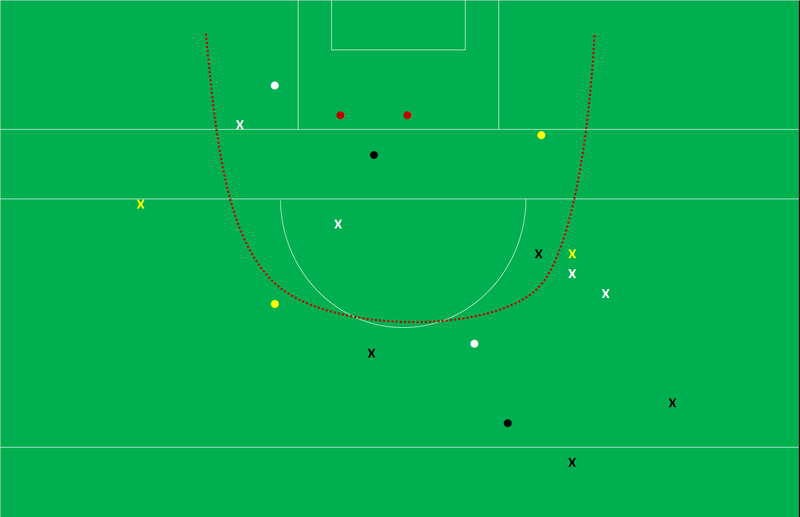 But Mullinalaghta shut that forward line down thereafter and indeed were excellently set for Kilmacud’s build up play. 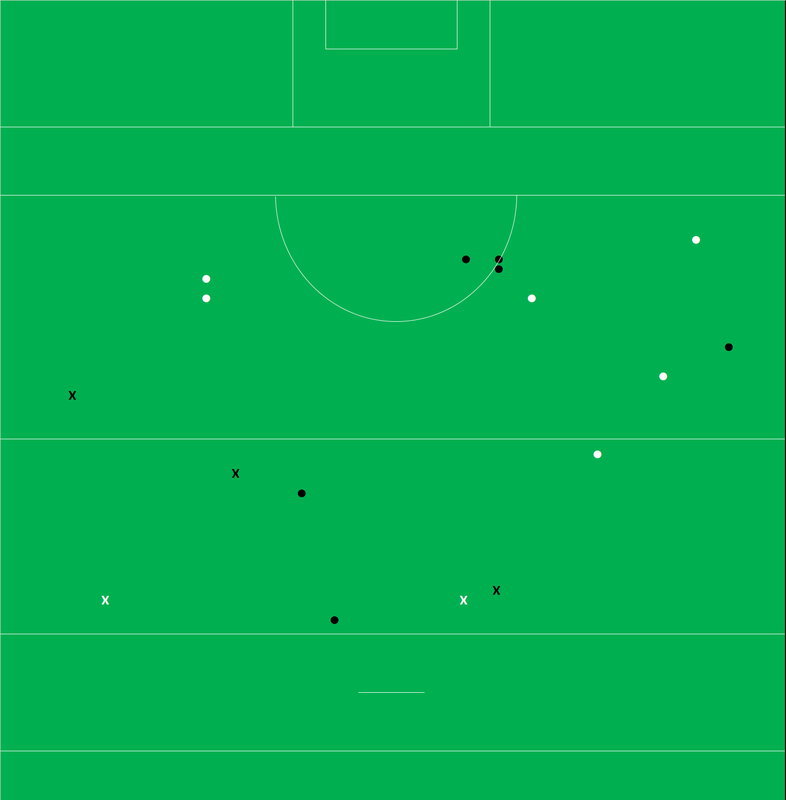 Kilmacud had 22 possessions originating inside their own 45 (9 from kickouts, 13 from turnovers) off which Kilmacud only manufactured six shots returning 0 – 02. Up until the 55th minute Mullinalaghta’s shooting was letting them down. They had 13 attempts returning 38% (0 – 05 from 13) with an Expt Pts of -2.78*. That included their only goal attempt which Brady lifted over the bar under huge David Nestor pressure. *they were 0 – 06 in the 55th minute but Brady’s long punt into the full forward line that bounced over the bar does not count as a shot. And then begins a sequence that will go down in club lore as Mullinalaghta scored 1 – 02 off three shots in four minutes to open up a two point lead that they never relinquished. The turning point was the Gary Rogers penalty in the 58th minute. Penalties are relatively sparse (31 in 126 intercounty Championship games from ’15 – ‘18) in football but have a high Conversion Rate (74%; 23 from 31). What made this one slightly different was that it occurred right after Nestor had saved a last gasp penalty in the semi-final against Portlaoise (@ 14:30 here). Did that save play on either of the protagonists in this instance? Against Portlaoise Nestor saved to his right; he dived to his left this time … any reason why? Did he think his post-game comments (paraphrasing here but he said “I went to my right as at my age that’s the only way I can go”) that day would play on Roger’s mind? Did Rogers hear them? Postscript; in the end that wondering was for nought. Rogers gave an interview to Second Captains in which he says that he did see the save against Portlaoise but took no heed of it as he is not the normal penalty taker (McGivney is but has a knee issue that prevents him from shooting off the ground) and was just concentrating on a clean contact! Roger’s impact on the game was not solely based on the penalty. He managed six primary assists as Mullinalaghta’s link man. No other player, across either team, managed more than three primary assists. As stated Mullinalaghta stymied Kilmacud’s short kickouts allowing just one shot off the nine they won and also scoring a point off the one that went awry. 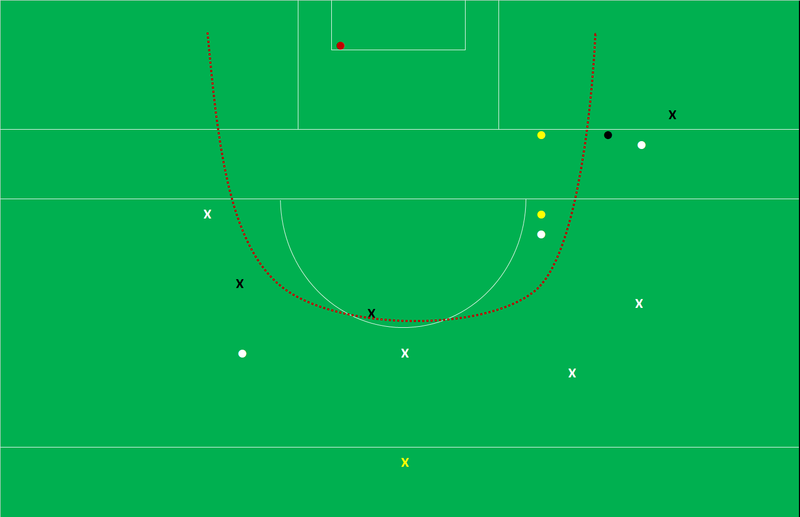 Mullinalaghta weren’t interested in short kickouts (case in point being the one they did try ending up in a throw in as the ball didn’t travel the required distance) and instead went long(er) with 6 of their 13 going past the 65m line. Mullinalaghta were very strong here winning five of their six that went past the 65 and 68% (13 of 19) of all kickouts that went past the 45.